If you want to be a teacher, you’re choosing a solid career. The country is in dire need of teachers of all types. Thus, you can be sure to have a career that is somewhat secure. And of course, who doesn’t want to help guide the youth of America? This is one of the most honorable professionals out there. Enrolling for and paying for school is easier said than done. Attending college can be quite pricey. Teaching degrees cost thousands and thousands of dollars. This is why it is so important to really find solid scholarships and grants. There are funds out there. You just need to know where to look. The following are some great resources to use when looking for scholarships and grants. One of the best places to turn for teaching scholarships and grants is actually the federal government. Periodically, the federal government puts aside a certain amount of money for its citizens. The idea is that the country can only succeed if its people can succeed. Thus, these funds are then granted to people who show that they are financially in need of them. One of the most famous and commonly used federal grants is the Pell Grant. Around since 1972, this grant is for people who can prove they are from low-income families and need additional support to return to school. The amount of the federal government’s scholarships and grants depends on the year. Still, such funding resources as the Pell Grant remain an important tool for people who want to fund and earn their teaching degree. Individual states often have great teaching scholarships and grants. Some of these scholarships and grants may be specifically related to education and to teaching whereas others may be linked to being from low-income families or minorities. Think about how you do or do not relate to the funding requirements and start applying as early on as possible. You never know what your home state has to offer you. Of course, remember that you need to prove that you are a legal resident of this state. Thus, be sure to get the proper documents in order. If you come from a low-income family, you may qualify for need-based scholarships and grants. This can make paying for school that much more possible. Such funding options come from a variety of places: everywhere from local churches to big name corporations may offer such funding. Thus, it is important to do your research to see if you or your parents’ income meet the requirements for such grants and scholarships. If you qualify, this could help you obtain your teaching degree and certification! Historically, the United States was a place for immigrants. People came here to rid themselves of persecution they faced in their home countries. Thus, the country is full of people of many types of ethnicities, races, and backgrounds. Not every minority in the United States has been afford the same opportunities. Thus, there are many scholarships and grants focused on evening the gap. If you are a minority and want to pursue a teaching degree, these funding options can really make all the difference. Take the time to really investigate this so you can secure the funding you need to enroll and finish school. Another group that may find some great teaching scholarships and grants is women. After all, in the not so distant history, women were earning far less than men for the same job. These funds are meant to close that gap and ensure that women have the funds for school. You can find women-focused teaching scholarships and grants from women advocacy groups and from corporations and non-profit organizations around the world. If you are the first person in your family to attend college, then you may qualify for some stellar scholarships and grants. People don’t realize how tough it can be to the first in a family to go through this process. You may have no idea what a FAFSA form, and your family may not have the means to financially contribute to your education. People who have or are currently serving in the United States military may be eligible for important college grants and scholarships. This is how various military branches show their thanks to their soldiers and officers. Additionally, there are many teaching scholarships and grants available for the children and spouses of active and inactive soldiers. You can find out about such funding options by contacting the specific military branch and for searching for military-related teaching scholarships and grants from non-profits and groups around the world. Another way to find some stellar teaching scholarships and grants is to ask people who have experience looking for such funding: teachers. Sit down with teachers and ask them about their experiences with different funding sources. Firsthand knowledge is the best type of resource when looking for teaching scholarships and grants. Ask about everything from how the application process worked to how funds were distributed and whether they were renewable. Some funds will only cover a single year of school whereas others will cover the full degree or program. Your teachers may also have some valuable suggestions about teaching scholarships and grants that you haven’t yet heard about. There’s no question that today’s world needs hard working, positive, and empowering teachers. Thus, there are many service for scholarships and grants programs. Basically, you have to commit to teaching in a in-need communities or schools for a set amount of time in exchange for funding. This is beneficial to both you and to the in-need schools. After all, you need the money to continue your education and earn your necessary degrees and credentials, and the schools need qualified, dedicated, and intelligent teachers. This is also a great bet for people who want to give back to impoverished areas, are dedicated to teaching and want experience, and for those who want to see the world. The above funding options for would-be teachers are competitive. After all, there are many people who want to receive funds for school. Thus, you need to be clear with yourself about why you want to teach. This will make it easier for you to fill out applications, respond to questions, and write essays. The more specific you are about the teaching profession and why it is for you, the more focused and responsible you will look. If you want to find teaching scholarships and grants, you need to head online. Basic Internet searches will lead you to non-profit, corporation, and private organizations that offer such funds. Some of these groups will have online applications for you to complete whereas others will request paper applications. Always receive confirmation that your application has been received. You can save emails, confirmation numbers, and include a self-enclosed-stamped envelope with your application materials. Leave no rock unturned when it comes to finding money for school. You never know which organization will grant you the funds you need to continue your education. Make sure that you fully apply to each scholarship or fund. Ask a loved one to double-check your work. You want to answer any and all questions and include all necessary documentation to secure this application is read and considered. Having a loved one look over your work will ensure that you submit error free applications. A single error may make you look less professional. This is why it is important to have fresh eyes review your work. Most teaching scholarships and grants will ask for the same documents. Thus, it is important to gather together such items and make copies, if possible. For example, universally requested documents include proof of residency, birth certificates, tax forms, and proof of income and enrollment in school. Having these items organized before you begin applying for teaching scholarships and grants will make the process easier to manage. If you are willing to do your research and really explore your options, you will no doubt be able to find some secure funding options for school. There are many teaching scholarships and grants out there. You just need to look anywhere and everywhere to fund funding. You never know which funds you will be approved for. With some careful research and preparation, you can find the necessary scholarships and grants to make your teaching goals a reality. I would like a grant to be able to go to school again. I have been teaching preschool for many years and going to school to become a grade school teacher. I am a mother to 5 year twin girls and going through a divorce. I still want to get an education but don’t know how to go about it. I want to finish school for myself and my girls. With due respect that I want to get admission in Cosmetology Diploma Course in the session in January 2012. in Ontario Beauty College in Canada. I need full scholarship or Teaching Assistanship for my course , I have good knowledge and experience on this subject .Now a days this sector is very good business overall world. I would request you please given the opportunity for me . I am a Certified Teacher and was wondering how to find high need schools that would be willing to help me repay my student loans. I live in Oak Lawn Illinois 60453. If someone could let me know I would be grateful. Hello, my name is Maria Hanes and I live in Kilgore, TX. I am a 38 year old Hispanic (Mexican) mother of three children. I am a Bilingual Teachers’ Aide at Sabine Middle School in Gladewater, TX. I was a substitute teacher for Sabine ISD (Elementary, Middle School, & High School) for almost a year before the full-time bilingual teachers aide position was offered to me. Sabine ISD is aware that I am in the process of obtaining my teachers certification for a Generalists EC-6 through ITeachTexas.com. I just have to take & pass the test; then I have to either complete 6-weeks student teaching or have 1 year in a teaching position by June 2012. I’m praying that once I pass the test & complete the program; Sabine ISD will have a teaching position available for me. Unfortunately; the last couple of years have been very difficult for me (financially & with my marriage). I am currently going through a divorce. The only way I would be able to complete my program will be to enroll in a 6-week student teaching program in the next few months. And of course that means I have to pay for the 6-week student teaching and not get paid during that time. As I mentioned, I am going through a divorce & will be supporting 3 kids (19 yr old–in college, 18 yr old–high school senior, & 9 yr old). So the Big Problem is that there is no way I will be able to afford the 6-week student teaching program & lose my teachers’ aide salary (which is not much at all) for 6 weeks. I would really appreciate any help to be able to pay for my test and the 6-week student teaching program; so that I may accomplish my dream of becoming a Bilingual Teacher in the state of Texas. I know that this is my calling! I’m sure you may hear that all the time but I can assure you that I want this with all my heart. I love working with kids and knowing that I am helping them in their education. And believe me I gave up and lost a lot in order for me to accomplish my dream. I had a great paying job & position, but that did not matter to me. I felt like once I left the business field I was never good enough for my husband, which I’m sure my current personal situation tells you something. But my children & family believe in me and know I want this with all my heart. And as long as my kids support me and my faith in myself…I know I will be the Best Teacher I can Be to every student that crosses my path. I’m sure you didn’t expect a book in the comment section; but I don’t know how else to say it without my desire for my teaching career to show. So please any help to pay for my tests, my 6-week student teaching program, and my unpaid school loans will be Greatly Appreciated. I pray that I will be able to teach the fall of 2012. Thank you for your time and help. hello my name is Annielle and I’m from England and i moved to usa 4 years ago and my husband focus me to go to college to do something i really didn’t want to do so now i got a big student loan bill which i can’t afford to pay. but it’s my dream to became a kindergarten teacher and i hope i can find a way to make my dream come true. Hi, my name is Courtney. I will be graduating from High School in May of this year. Since I was 4 years old I have always wanted to be a teacher. For the past 3 years, I have had the pleasure of teaching toddlers thur middle school children gymnastics, this has been a great experience for me, this experience has made me more excited to actually be in a classroom teaching. I am from a single parent home. My mom has always worked two jobs to support me. For the past two years she has worked one full time job, just to spend more time with me. It’s been tough at times, but we made it though. Now it’s almost time for College, and once again mom is searching for a second job, just for me. Receiving a grant would be greatly appreciated, and would diffinately take a lot of pressure off my mom. Hello, my name is Asenath Light. I live in Anchorage, Alaska, but am going to school at Brigham Young University in Idaho. Im am studying to be a special education teacher. I am trying really hard to pay for all of college on my own without taking out a loan. I have been working hard, and will continue on. Recieving a grant will help me to fullfill my college payments and help me help those young children with disabilities. I would highly apreciate any help I could get. Hello, my name is Jason Ingram and I am seeking a grant to continue my educating to become a math teacher. I am currently not working and I am in need of financial assist to pursue my dream of becoming an educator and making a difference. hi my name is crystal. i am a single mother of a 3 year old highly autistic boy. it has been an ongoing fight to get him the services he needs, and the struggle we go through daily has made me want an education in special needs. i am in need of a grant or some kind of financial assistance to go back to school to pursue this dream of mine to help children with special needs get what they need so they dont have to go without. any kind of help at all would be greatly appreciated. i want nothing more than to mkae something of myself and my life for my son and i.
H, my name is Stephanie proctor. I’m 25 years old.im pursuing liberal studies emphasis in teaching elementary education. This grant will help me to continue my education. I’m also a child of military veteran and a firefighter parents. I cannot afford to pay neatly 4,000 per semester so your financial assistance would be greatly appreciated. Hi my name is Italia Harris i’m a student at Wiley College. i’m really in need of a grant. i’m studying to become a teacher. i’m the first person in my family to go to college. my mother is retired and we don’t have that much money.Before my father passed away i promise him that i would go to college but not its getting hard for me to do that because i have no money, so i would really love to get a grant. thanks for your time. Hi my name is Mackenzie Verley and I am a student at St. Cloud Technical and Community College. I am going to school for Early Childhood Special Education. I am in real need of a grant. This grant will help me to continue my educational goals in helping children get the attention and devotion they need and deserve. I have been volunteering in a early childhood/special education school setting for the past two years now, and I don’t want to do anything else with my life, but work with these children everyday. I live on my own, and I work as much as possible, but with school it’s hard to always get the hours in that I need. My parents have never been able to afford to help me out with anything, which, from my point of view, they shouldn’t have to because I am an adult, but becoming an educator and working with children has been my dream for as long as I can remember, I would really appreciate any help I can get. Hello, my name is Matthew Smith and my lifelong goal is to be a music teacher I am currently enrolled in college and would like some assistance paying for it. My philosophy is that music is not just something you hear it is something you can learn from as well as teach with. I am not the type of person to ask for peoples help with things but I need to be a teacher it is my passion. I am 23 years old I work full time at a nursing home and i am not married. The reason I believe I need help with school is because I will be giving back by becoming a teacher. Please so much I need your help. I am 35 years old and i have worked as a part time untrained teacher for over 8 years. I have a B.sc in Mathematical statistics but after looking for an analysis job with no success i decided to join teaching. Now am looking for some grants or scholarship to do a post graduate diploma and fully qualify as a teacher to serve children with passion. my main objective is to teach at the college and university level the soonest. Any assistance will be highly appreciated. I really, really, really need financial help for my school and my family! I can’t get a job without a social and my husband only has time for a part time because he too is going to school. We have a baby girl of 16 months and live in an area where we are not familiar with or know anyone around. Please please I beg to be out on the list somehow. Im enrolled in Texas State in San Marcos, Tx and can’t pay the full tuition. Please give me some kind of help or let me know if there is anyone that may have the ability to help me out. My name is Elisabeth and I’ve am almost done with my Master’s and would like to continue on to getting my Doctorate’s degree. The only problem is I will only have 2 years that I am able to complete leaving the other 2 uncomplete. I would really really want to pursue my goal in life and become a Doctor for as an Instructor/Teacher. I’m running out of time and I don’t want my education to go to waste in pursuing my education can you help me? my name is Angelica Brown and I am currently 22 years old. Right now I am in school for early childhood education. As a child I did not have the proper guidance with my parents, from those experiences I decided to be a teacher. If I can make a difference in children’s lives I know it will be rewarding not only to the students but to me as well. My only problem is that right now I struggle financially. Working minimum wage jobs to afford a car to get to school is hard enough. Along with gas prices and the cost for food and living etc is very stressful. Although I contemplated dropping out of school to work more I can’t give up. I need to be an example to other children/young people,that if you don’t give up you can attain success. My name is Alice Wise, and I’m a sophmore at the University of South Alabama. I have chosen the career of being a high school math teacher, because of the possibilities I can have effecting the future. I understand that through inspiration, affection, and determination I can help build new generations of engineers, scientists, accountants, and many other math labored jobs. Even everyday people need math to balance a budget, so I understand that my actions are not just for the mathematically inclined, so I’m happy to help all sorts. Despite government education’s standard, I know that I can make a difference. As a 22 year old, I’m bound and determined to reach my goal as a high school math teacher, but financially, I’m set back. I would love to focus on school, but working and paying bills are a large priority of my life. I work two jobs, but still manage to make good grades. I believe in working for what you want to earn, so I’m happy to work my two jobs, but its summation of income does not add up to enough to pay for even three courses. A scholarship would be an amazing gift that I would be forever greatful for. I understand and appreciate the support that goes into it, and would put its value to great use. Ultimately, a scholarship for me is a donation to your future and your families future. My passion is Education! I enjoy the process of being a positive influence in the lives of scholars I have been attending colleges for the past several years. I earned a degree Master of Arts in Elementary Education. I am currently enrolled in a Doctorate Program with Cappella University. My employment experiences have been Teacher in preschool, Director of a Daycare, Head Start teacher, Head Start Administrator. I am currently employed with an Elementary school as a teacher. It has been a process of several years obtaining this level of education, because I have been working while going to school and being a mom. My children are grown and I am at the finale of my education. Yes, teachers inspire dreamers to dream, individuals in all fields of occupations have been touched by a teacher. Yet, I am at a stage of posturing because being a teacher, while it has it rewards of observing how I influence lives; it is a minimum base pay. I have incurred $60,000 in debt from attending college. Now, I need favor with individuals who will be gracious to assist me with going to four colloquial which are part of the process for writing my dissertation. My name is Kara and I am 23 years old. I have been wanting to go back to school for a long time now. Not only do I want a career for myself but for my 3 month old daughter too. She is my world and I want to be able to give her a great life and her have anything she needs. Teaching has been my passion ever since I was a little girl. I want to be someone a child would remember and can go to for help and make learning as enjoyable for children as much as possible. My goal is to earn my bachelors degree in early childhood education. A scholarship would really help make that happen. Hi my name is Charnissa Harris. I have been an assistant teacher for 15 years now. I am persuing my degree in education. However I cannot afford to pay out of pocket which is causing me to not become a teacher. 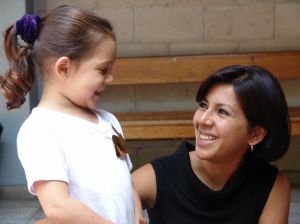 I love working with our young children because they really need our support. Teaching is my passion and life. So please help me to achieve my dream by finishing school so that I can become an aspiring teacher. Your scholarship will really make it a blessing to have. My name is Michelle Duhe and I am currently attending Southeastern Louisiana University. I am in Education Majoring in Grades 1-5 and I would be utterly grateful and appreciative if I were given this scholarship. Considering I am a full time student and working a part time job it is very hard to pay for my schooling and also do well in the classroom. I am barely making it paycheck to paycheck. With this scholarship, that will make me so much closer to my dream at inspiring children to learn and be more knowledgeable which will make the world a better place! I have always wanted to by a teacher and be an idol for my students. I want to make the children of our society have a better, bigger, and brighter future for themselves. With that being said, once again, I would truly be forever grateful if I were to receive this wonderful scholarship. It would most certainly be a blessing!! I am 33years. I am a teacher in local high school(Bangladesh). I try to better teach for student. I want a scholarship/training. I am a Lecturer in Mathematics. I want to teach my student properly. So I need training on teaching. I am in need of your assistance to finish my Bachelor’s Degree in Education. I recently became a widow & I am trying to keep the promise of finishing school to myself as well as my husband. I do not have the money ($5000) for the books & classes that I need to take in order for me to complete my education. I am in desperate need for funds since it has to be paid to hold a seat for me this coming spring. I do not make much money being a Teacher Assist in Texas. I have never asked anyone for anything. I am not too proud to ask for assistance. I need for you to know that I am not asking for a hand out, but a hand up to assist me in my plight. I would be very grateful for anything that you can do to assist me with my dilemma. Also, I will be the first in my family to hold a degree. Thank you for anything that you can offer me. I hold to you “Sincere Gratification” for your time & efforts. i m rabeya.i am 3rd of 5brother and sister.i m compliting my MBA degree in pubic Universityin Bangladesh.now i m working as a teacher in Scholarshome English medium school and college.but,i wan to increase myself as a good teacher and give something ecceptionality to my students.because of finacial problem i cannot lead my everydaylife,yet i m hopeful to get my desired dream…..till now.don know when it will come…. I’m Gashwe from Ethiopia and I have a great nature gift and I have bachlor degree in social science but,belonging to a poor family and doing masters has been my dream, which seems to be very difficult now as i have no funds or someone to sponsor or not even a bank loan in spite of getting admit in a university in US but ma’am if you could arrange me a scholarship, i would be much obliged and be grateful to you throughout my life. Hi! My name is Robel from Ethiopia.I have thought English for the last six years.I really love teaching at primary level.And I am writing this piece of text to tell you that,I want to make the most of my teaching profession.I want to be a better teacher of English.And the best to way to do this is to join a university who has a good reputation.I would like to pursue my PhD in English.I have a good grade in my M.A studies(3.75 g.p.a)looking forward your favorable reply. am grade 12 leaner and I would like to per sue my career in teaching. Hi! My name is Ashlie, and I worked as a teachers assistant in the Chicago Public School system recently and I am trying to go back to school to complete my degree to teach. I love teaching kids who don’t have everything handed to them. I am looking to get some financial help in going back to school. I look forward to a positive response in helping me pursue my passion. how I should go on?how I should apply? My name is Ana Maria Merkel. I’m a single mother of three. Recently divorced, had not worked for fifteen years. I hold a BS in Electrical Engineering from Purdue University, as well as ten semesters of Electrical Engineering from Venezuela, where I grew up. I’m from Spain, and was married to an American veteran for 24 years, and have been an American citizen since 1999. I used to teach college and high school classes in Venezuela, and teaching is my passion. I finally got a job as a Middle School Spanish teacher at a charter school in South Florida. The most rewarding part of my job is helping minority children who have different kinds of personal problems and need someone they trust to give them a hand a guide them. In order to get my certification and not only continue my new career, but also be able to support my children, I need to take classes and exams, which are out of my reach financially. I was hoping there is some kind of help for individuals in my situation who are trying to switch their career path to become teachers. If you can help me in any way, my children and I would be eternally grateful.